Our digital marketing module lecturer, Asher Rospigliosi, was recently interviewed for BBC’s programme ‘Invented in…’. The BBC have been touring the country profiling everyday inventions and how they have evolved the way in which we live. 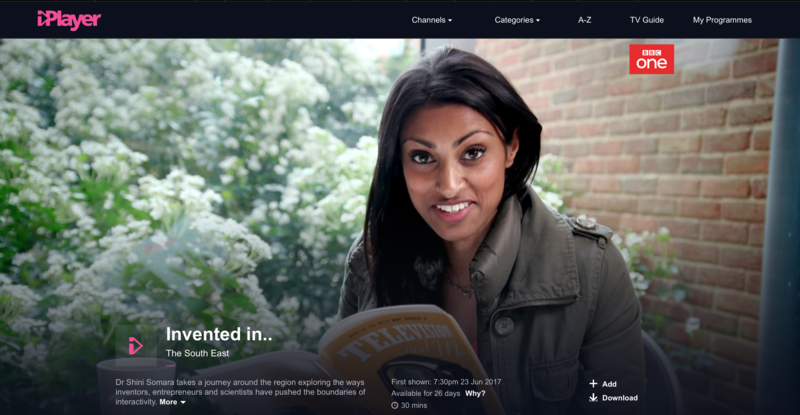 On 23 June, Dr Shini Somara, took BBC One viewers through a journey throughout the South East, from Logie Baird’s televisor invented in Hastings, through to the early days of online shopping and Big Brother. As a researcher and our digital marketing lecturer, Asher Rospigliosi, featured heavily on the programme, discussing how interactivity, and our relationship with TV, has changed. Tagged digital marketing, Industry, innovation. Bookmark the permalink.